I returned from a brief vacation to learn with sorrow of the death of Jeremiah “Jerry” Healy, longtime friend and supporter of the magazine. 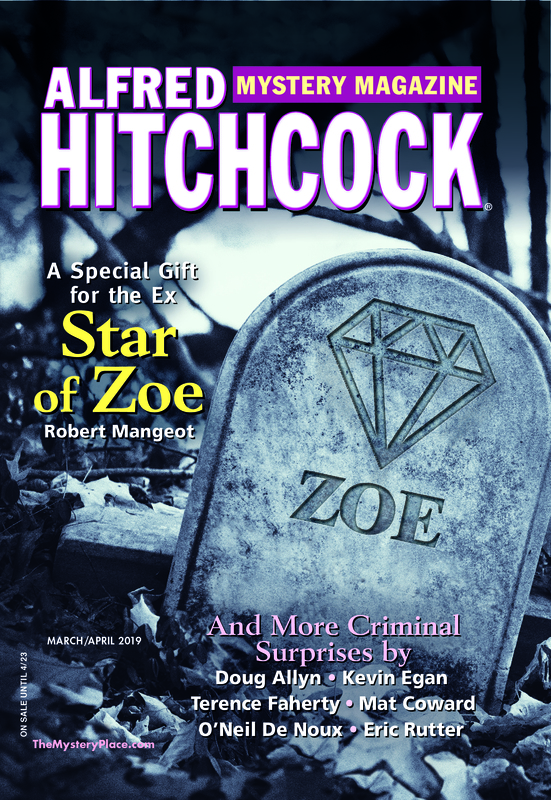 Jerry’s first story for AHMM, “Till Tuesday,” appeared in the April 1988 issue, and his January/February 2005 story “Two Birds with One Stone” was a finalist for the Shamus Award for Best Private Eye Short Story. While some of his stories featured his popular series characters, Jerry also took the opportunity of his appearances in Hitchcock to stretch and try new things. Not just a contributor, Jerry was an enthusiastic advocate for both AHMM and our sister magazine Ellery Queen’s Mystery Magazine. At conferences his larger-than-life presence and infectious laughter were a pleasure to all who were near. Generous with his time, support, and goodwill, Jerry will be missed not just by our staff, but also by many in the mystery community.